There is something intimidating about opening a blank Word document and staring at that cursor sitting on that first line. That blasted cursor... just blinking away. Waiting for me to get started. I initially set out to write something for this blog, something I’ve struggled to do lately. As I kept staring at that blasted cursor, I knew that what was on my heart wouldn’t be for this blog. It would be messy and raw. It wouldn’t be for anyone else besides God. He knew the words that I was holding onto in my heart and was simply waiting for me say them. So I began to type and that cursor began to move. And the words that were being contained in my heart poured out onto the page, like a frustrated painter hurling the contents of a bucket of paint onto a white canvas. Lord, here I am -- mess and all. I don't have it all together, I am broken, but I'm showing up anyway. Only You can restore me and put me back together again. Only You can support me and strengthen me. So before I take another step, here's my mess. God doesn’t want or expect the edited, final draft of what you're feeling. He wants the raw, unedited, unfiltered version. He wants your mess. He wants to meet you where you’re at and then help you begin putting everything back together again. But we have to willingly participate in the process. He will mold us, shape us and guide us through the messy situations we face, but in order to do that we have to come before Him as we are -- mess and all. 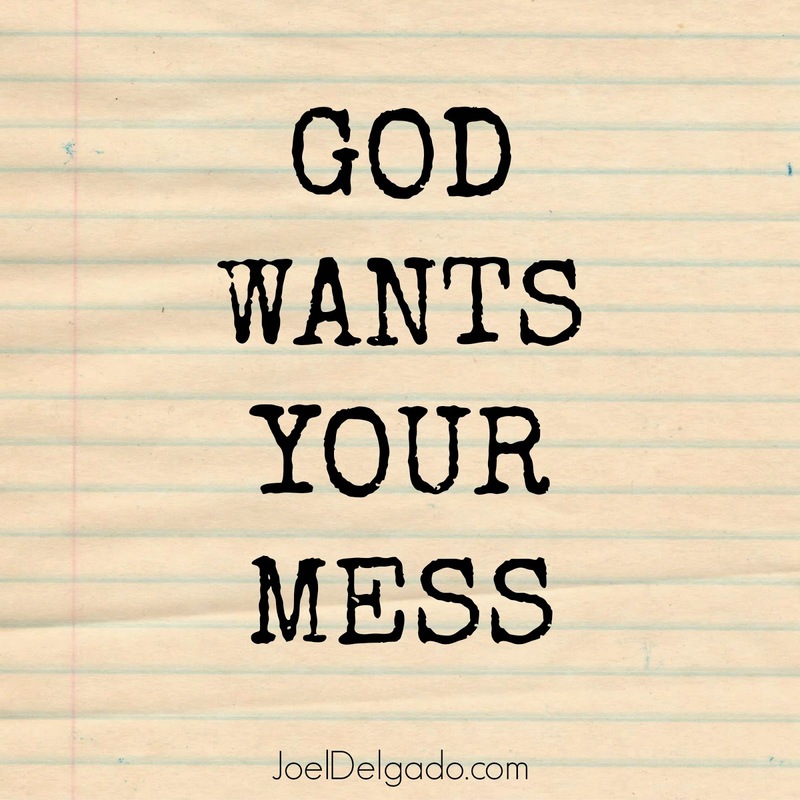 Getting all those words and emotions all out on paper didn’t fix everything, but that step -- simply bringing my mess before Him -- is the first step. Maybe you’ve got something in your heart, feelings and emotions and words you’ve tried to keep locked up and hidden. Let them out. Lay them out before God. Healing starts when we lay it all out there in front of Him.